Sorry for the downtime here…I missed posting Wednesday due to Christmas stuff, and, well, What Can You Do? I haven’t even had time to see that new Star Warsian film that’s so popular with all the kids these days. So, basically, I’m just checking in here so 1) you know I’m still alive, or at least was alive as I was typing this, and 2) I’ll hopefully be back in the swing of things once Christmas is behind us. In the meantime, here’s something I’ve been meaning to link to for a while now that may be of interest to you Peanuts fans. 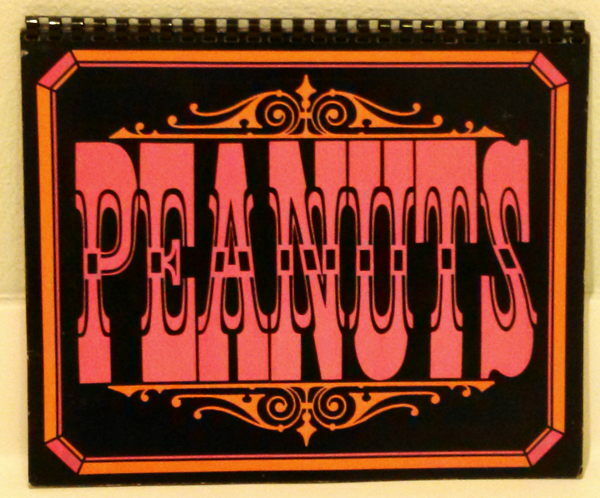 Pal Nat, internationally-recognized Peanuts expert and dapper man about town, has started a Peanuts podcast to accompany his long-running AAUGH Blog. Nine episodes so far, with special guests, interviews, and other Peanuttery shenanigans all hosted by Nat himself, and available either through direct download or online listening at the site, or through the usual podcasting platforms. Go, listen already. Thanks for reading, pals, and I’ll be back with more Actual Content of my own in short order. I hope you all enjoy your holiday season, however you celebrate it! 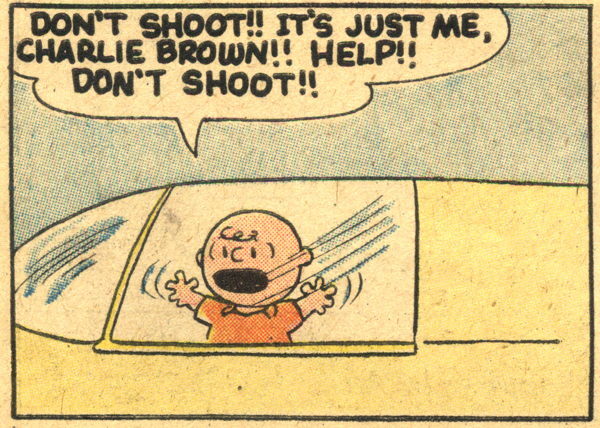 Please do not shoot Charlie Brown. 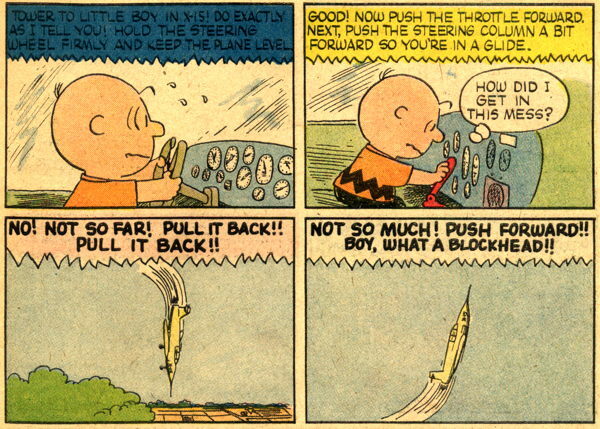 In essence, he fantasizes about screwing up and being called a blockhead. Oh Charlie Brown. 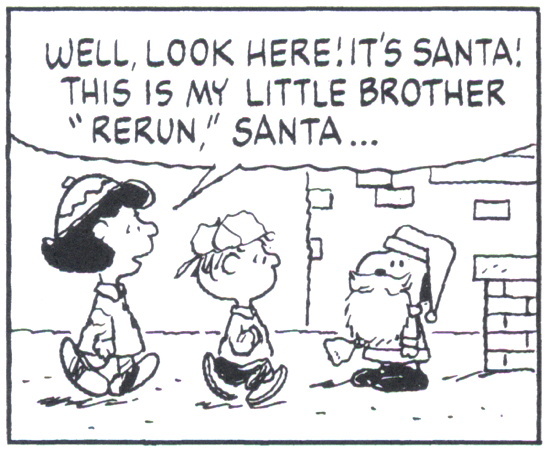 And Rerun’s older than many of you reading this right now. Lucy’s panicked interruption is pretty amazing. 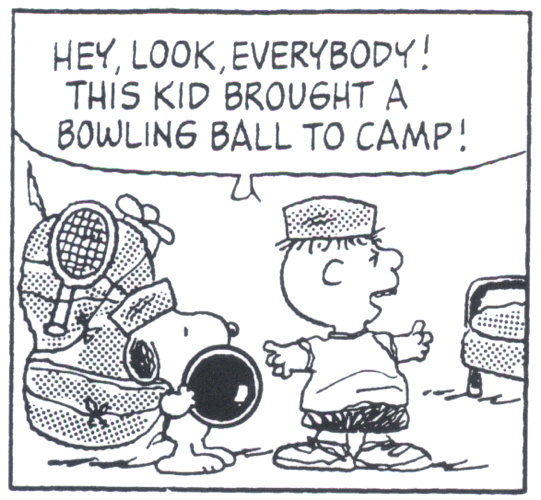 Anyway, I’m currently reading Fantagraphics’s The Complete Peanuts: 1993-1994 which is not the current volume, but the one previous to the 1995-1996 volume released just a couple of weeks ago. Apparently, I had missed the 1993-1994 volume as it had come out during that transitional period when I was leaving my old place of employment and beginning to establish my new criminal lair in the heart of Camarillo, and didn’t realize it until one of my regulars pointed out that he too was missing that book. …which reminds me of how I keep thinking that he’s a much later addition to the strip than he actually is. When I was a kid, I read a lot of Peanuts reprint books, mostly those oversized Holt, Rinehart and Winston-published trade paperbacks. Mostly I checked them out of the library, though once I managed to scrape together the $3.95 to get one of my own ( And A Woodstock in a Birch Tree from 1979 — still on my bookshelf now!). My introduction to Rerun was about that time, and I understood then that, unlike the other more firmly established characters in the strip, he was a newer addition to the cast, and because I “discovered” him in the late 1970s, it just sort of lodged in my head that he dated from the late ’70s. Of course, that’s not the case. He was first mentioned in 1972, and actually appeared in the strip in 1973, so Rerun’s been around about as long as I’ve been able to read. Or, to put it another way, for over half the life of the Peanuts strip itself. And yet, he still feels like “the new cast member,” probably because the character was put on the backburner for a very long time, only returning to prominence in the strip’s final years. 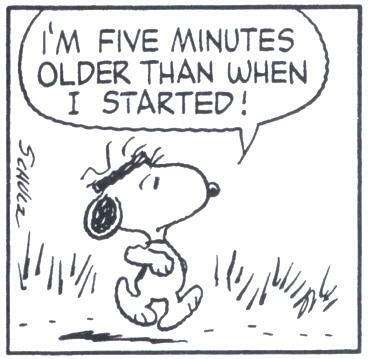 I always loved the self-awareness of the character’s name as well, with Schulz seemingly admitting (or just outright saying as such in that 1972 strip) that we were going to go through the aging-from-baby-to-peer-of-Charlie-Brown process again, one that had occurred with both of Rerun’s siblings, Lucy and Linus, as well as Schroeder and Charlie Brown’s sister Sally. Rerun’s sporadic use over the history of the strip did result in some “continuity” (as it were) errors, detailed in this Wiki entry. The accelerated aging process had a few bumps in the road, such as confusion as to whether he was able to walk or if he was still crawling. …which always look so weird in contrast to the regular cast. It’s almost a literal depiction of the strangeness one feels as a child when first meeting someone outside of your immediate and familiar circle of friends. Yes, “as a child,” we adults don’t have awkward responses like that ever, nosirree. But anyway, someone should catalog all these one-off, usually nameless, characters. “The Forgotten Kids of Peanuts ” — almost sounds like a spin-off strip, where children from summer camps and surrounding neighborhoods relate tales of a dog that walked like a human, of a boy with a blue blanket that almost seemed to have a mind of its own, of a swirling storm of dust and filth that may have contained a child within. Hi pals…I realize posting and content on this here website thingie has been a little more slight than usual lately. I’ll be back up to speed soon, but I need a bit of time to recharge the ol’ batteries. Thanks for understanding! I was also going to include the year 2051, but I think 2045 was already pushing my expected life span a bit. So there are those reality TV shows where folks buy the contents to abandoned storage units in auction, and then do their darnedest to pull a profit out of whatever they happen to acquire. I happened to see an episode where one of the buyers was digging through the boxes in the unit he purchased, and suddenly lifted up a handful of comics books which he declared to be worth five bucks each. The onscreen tally was thusly updated, $5 times whatever number of comics he had in his hand. Of course, watching this at home, knowing the kinds of comics one usually finds in these units, I suspected the value was closer to about five cents per book. I vaguely recall a backstory for one of the participants in these shows involving a discovery of a comic book collection that actually was worth something, containing comics that people would want, but that is almost certainly the exception, not the rule, and I’m guessing the handful of comics that gentleman was waving around was more likely 1990s Brigade s than 1940s Batman s.
The main reason for that is, given the prominence and popularity of these storage unit/collectibles shows, of late I’ve been seeing an increase of folks coming by the shop, introducing themselves as buyers of old storage units, and presenting for sale whatever comics and other related items they’ve found in said units. And so far, I’ve yet to see a whole lot of any significant collector’s value. It’s bulk ’80s and ’90s comics, generally, and any older comics I’ve seen brought in from these storage auctions have been damaged to the point of being unsellable. Or, at best, in poor enough condition that any offer I make based on what I think the comics could sell for is rebuffed by the sellers, disappointed that they’re not going to make their fortunes. It’s not unfriendly interaction, by any means. They’re not sure what they have, and I think I’m fairly successful in communicating to them that I’m not trying to undervalue their material in order to get my hands on it cheap; I’m genuinely trying to explain to them why the comics aren’t worth a lot, or aren’t in demand. I had to explain to one person that the comics they had would have been worth something if they weren’t all water-damaged. To another I had to explain that while he may have seen the same comic on eBay for hundreds of dollars, the torn-up copy he had wasn’t worth anything close to that, and in fact I probably couldn’t sell it for any price. No acrimony, no accusations…most everyone’s been understanding and reasonable and believe you me, that’s a relief. These storage-unit collections aren’t always a bust. I do occasionally find things I can use, though nothing’s been terribly expensive. I sometimes get the “aw, I thought these would be worth more” response, but they are still happy to get the money, and I certainly hope they know I’m giving them as fair an offer as I’m able. It’s not in bad condition…no water damage, no writing, doesn’t even appear to have been used. At worst, it may have been flipped through a few times, but otherwise it seems to have just been stored away for 46-something years. A quick look at Amazon shows some reasonable pricing in the $20-$25 range, plus some…enthusiastic pricing at nearly $200. EBay shows one being offered in the $12 range ($16 Buy-It-Now), and none showing up in the recent sales search. Had he actually offered it for us to buy, I probably would have passed, since old calendars, even neat collectible-ish ones like these, are a real bear to sell. But getting it for free? 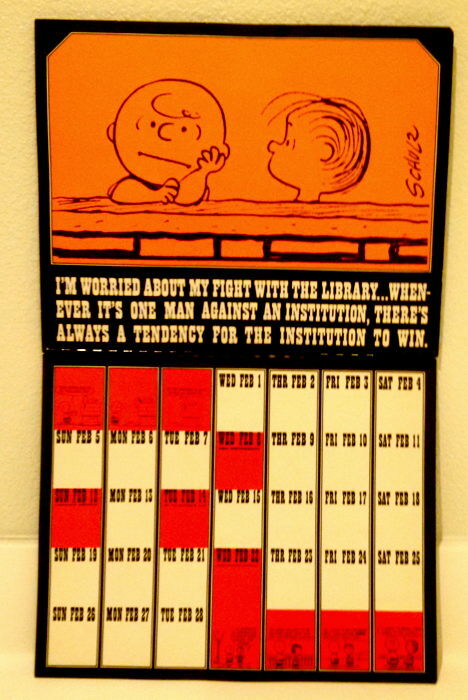 Heck, I’ll just keep it in the personal Peanuts collection, and besides, the calendar will be good again in 2017, 2023, 2034, and 2045, so I’ll be saving a few bucks those years. I’ll still happily look through anyone’s abandoned storage unit collections. I’m sure the long promised copy of the first Superman that everyone’s claimed to have once owned has to turn up eventually. Don’t try to tell me you don’t love Devil Dinosaur, because we’ll both know you’re lying. I think my stance on this pressing issue is a bit more forgiving now, since I find myself enjoying the strips not so much as, you know, any kind of deep insight into the human (or beagle) condition, or as a laugh-out-loud gag, but as just a…I don’t know, a soft smile or a quiet sense of gentle bemusement as a familiar character repeatedly expressed his quirk. 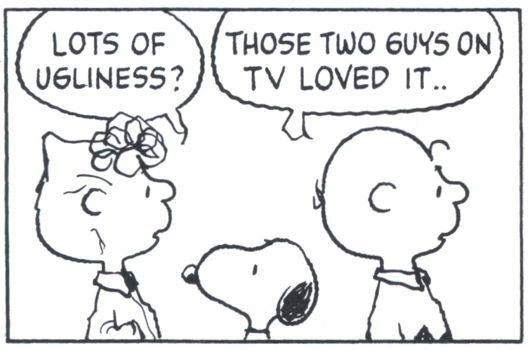 Also, I think I’ve since come to appreciate Schulz’s commitment to the cookie joke repetition…he decided that Snoopy liked cookies, that he thought it was funny, and by God he was going to use his comic strip to explore every freakin’ facet of that comedy gem. 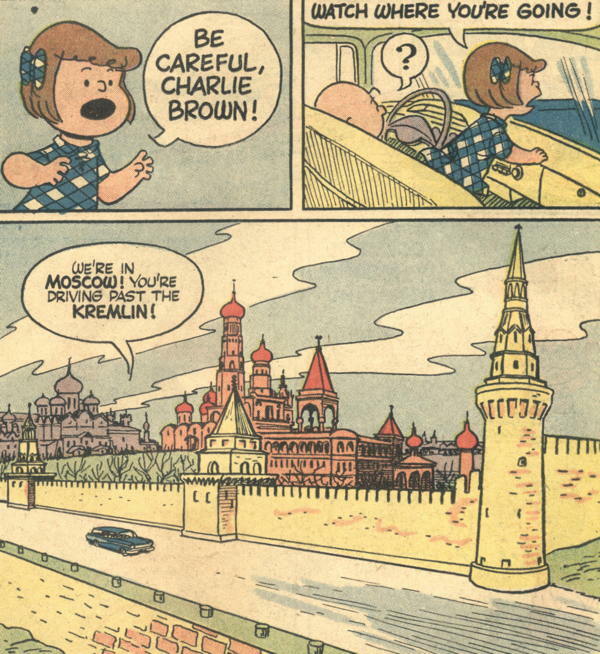 Plus, the dude did work on this strip for fifty years. If anyone deserved being cut a little slack, it’s him. There may also be a small element of reappreciating someone’s work in the light of “well, there ain’t gonna be no more, so enjoy what you have.” I’ve mentioned this before in relation to Jack Kirby’s 1970s output, which was mocked in some quarters at the time, but now try to find someone who doesn’t love Devil Dinosaur. Well, to be fair, that could be a reference to Jeffrey Lyons and Michael Medved, who were also hosting a movie review TV show at the time. Or Schulz just merged the thought balloon and the “woof woof woof” speech balloon together, but that possibility is not nearly as fun. AAAAAUGH! It’s terrifying! Demon! Sorcerer! Well, okay, Charles Schulz just gave Snoopy a speech balloon instead of a word balloon, which he did once or twice over the years. I think we can cut the man some slack. But still, this is the sort of thing that always stops me dead with its…wrongness, somehow. There’s a measure of communication between human and animal characters in Peanuts , of course, but never do the animals explicitly “speak” to any of the children (unless there’s something I missed). 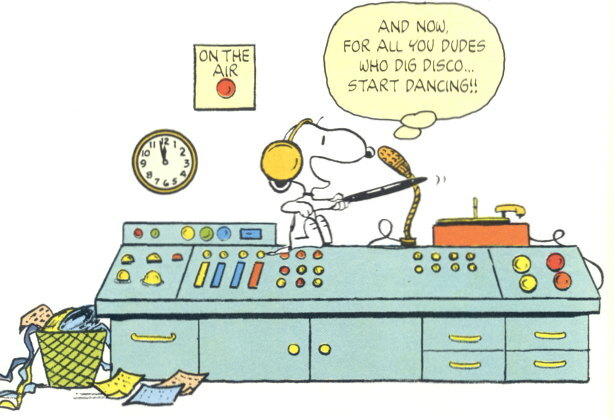 However, there is a strip later in the volume where I spotted the above panel ( The Complete Peanuts: 1985-1986 ) in which Marcie calls Snoopy by the name of “The Lone Beagle,” a sobriquet Snoopy used to refer to himself during one of his flights of fancy in the previous days’ strips. At first I believed it could only have been communicated to Marcie via direct speech. 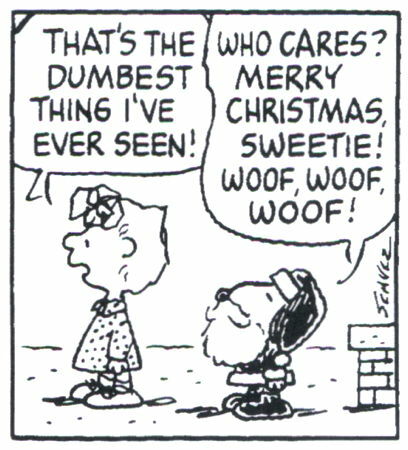 Then again, perhaps Marcie was able to infer the name by observing Snoopy’s acting-out of his fantasy, which opens up yet more questions regarding Snoopy’s undoglike behavior and its general acceptance in the Peanuts universe, but perhaps that’s far enough down that rabbit hole. There’s some interesting stuff going on between Fantagraphics and Dave Sim regarding the possibility of new packaging of Cerebus material being covered by the Moment of Cerebus site. No idea if it’ll ever happen, but it sure is fascinating reading the back-and-forth of what would be required to make such a project materialize. This is all in response to Sim’s statement in the last issue of Glamourpuss that he’s pretty much done with comics, and how some folks responding with the desire for him to be able to continue producing work. One of my readers asked for my thoughts on the matter, particularly from the retail end, and…well, heck, let’s just do it here instead of putting it off for another day. Now, I liked Glamourpuss . Its weird combination of fashion parody and comic strip history was a little mindboggling, but it worked, somehow, and kept me entertained through its entire run. It started off with having me wonder what Dave was up to, and as time went on, I realized the only real answer to that was “Dave was doing something I find entertaining and informative” and that was good enough for me. It started off relatively well as far as sales go, too…I don’t have the exact numbers in front of me, but if memory serves it was selling at respectable indie title levels. But, as time wore on, sales did drop, until we had just a couple of holdouts still hanging on and reading the book ’til the end. I don’t know if those readers who dropped the book were expecting Cerebus II and didn’t get it, were looking forward to new Sim material and just didn’t care for it, or just stopped buying comics entirely (a sadly realistic possibility). It’s just the simple fact that Not Everything Catches On, and I’m sorry this didn’t go as well as it did for Dave, and I certainly don’t want him to leave the industry (though I couldn’t blame him if he did). I think he a good job promoting Glamourpuss , sending out promotional copies (I still treasure my signed copy of #1), calling stores personally (alas, he got our answering machine…when I called him back, I got his voice mail, answered by “Glamourpuss” herself! ), his crazy variant covers (“zombie” variants, and variants featuring his Zatanna parody), and free overships of issues (which sometimes sold for us!). This certainly ensured good sales early on, but obviously their effectiveness wore off as time passed. Now, did I do enough to promote Glamourpuss at the shop? As a funnybook seller, it’s my job to be an advocate for every comic for, you know, the customers I think would enjoy said comic. I can’t shout out across the shop “I think everyone will enjoy this issue of Swamp Thing !” as much as I’d like to, simply because I know it’s not for everybody. And Glamourpuss was always bit of a hard sell. I mean, it was easy (if a little nutty) to describe to people, but hard to find the people who might be interested in such a thing. And given the number of comics we carry and the number of customers with differing tastes that we have and simply given the number of hours in the day, sometimes the most advocacy I can give a comic is just making sure it’s visible on the rack, and occasionally pointing it out to people I think would like it. I mean, I did what I could. I bought it, I enjoyed it, we carried it at the shop, I occasionally discussed it with folks, but if I could save every comic I liked from cancellation singlehandedly, Jupiter would still be on the stands. Pal Jim is still blogging Hellblazer comics in his extremely intelligent and captivating way over at The Laughing Magician. He’s up to issue #3…only 292 issues (at press time), plus all those annuals and tie-ins, to go, Jim! Well, well, well…look who’s back. …It’s Adam at Comics Make No Sense! The People have demanded that he revive his fun-filled weblog, and lo, it has come to pass. Go make the man feel welcome! Bully, Schrodinger’s Bull Who Is Simultaneously Little and Stuffed, brings us a Ten of a Kind featuring really, really angry folks on comic book covers…which ends in the only way it can, with comics’ greatest symbol of unrestrained rage. Look at what was in our pog haul. JUST LOOK AT IT. February 4, 1983: Sally Brown invents the emoticon.